Every time we add a new model of dress with sequins on the site we think about the story that dress will create. 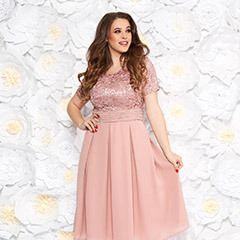 Will you wear it for a party, cocktail party, a glamorous event? 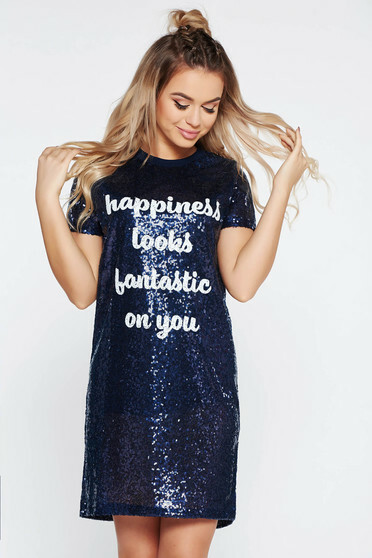 We are trying to imagine how the woman that wears such dresses looks like: strong, self-confident, ambitious, bright, we think about the woman that wears this dress with sequins just like she were on a catwalk with many cameras on her, and many looks with admiration and smiles. The sequin dresses are perfect for any age, but the most suitable for the events taking place during the evening, and not during the day. You may choose for black, red and pale pink sequin dresses.